This is one of those simple things that can make you look like you are some sort of culinary fancy-pants when you serve it to your guests (or in my case, my 2 boys). 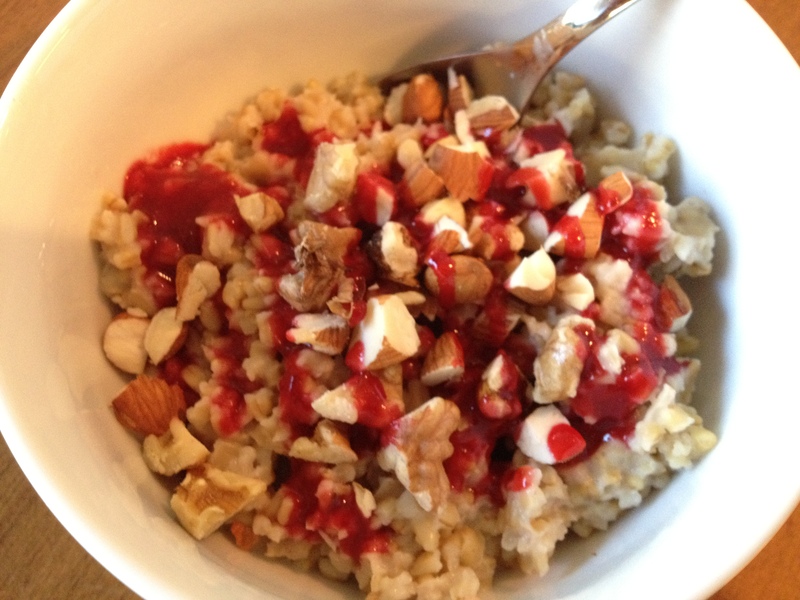 It really is simple to make and you don’t even need fresh berries in the house (I used frozen). It’s also lower in sugar than anything you will find at the store and much tastier. 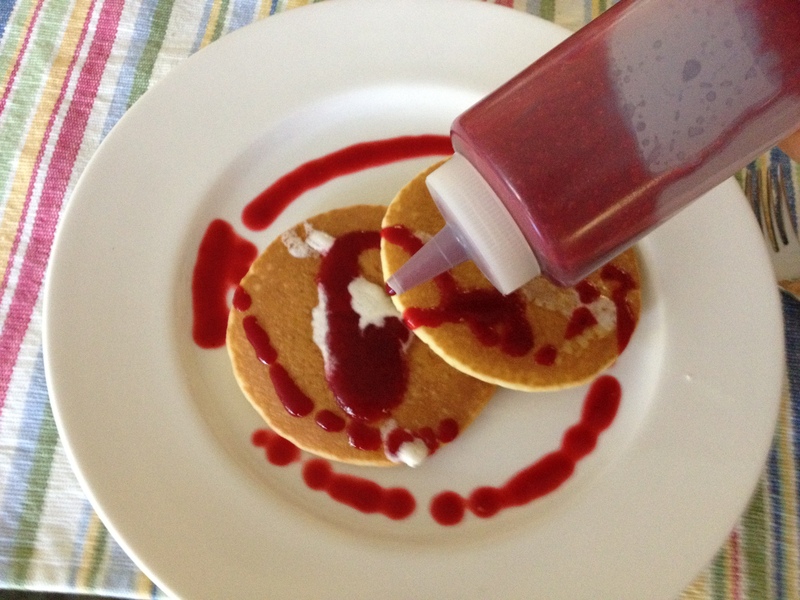 I love to use it to dress up a store bought dessert. Drizzle it over coconut gelato and garnish toasted coconut and a fancy cookie and wala…a dessert to impress! You can put it in a plastic squeeze bottle and decorate a plate for a fudgy brownie or pound cake. The possibilities are endless! 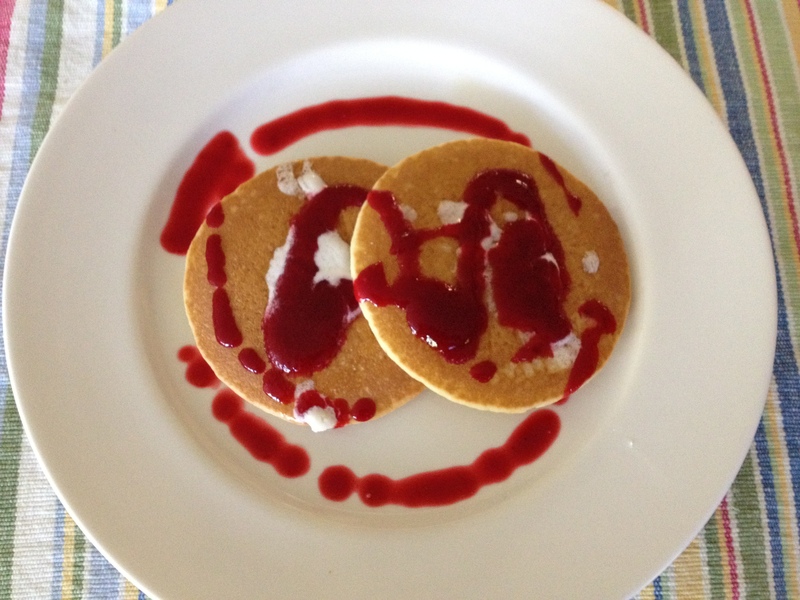 My boys love it on their pancakes…I used it on my oatmeal. Simmer, strain, and your done! I love these plastic squeeze bottles! 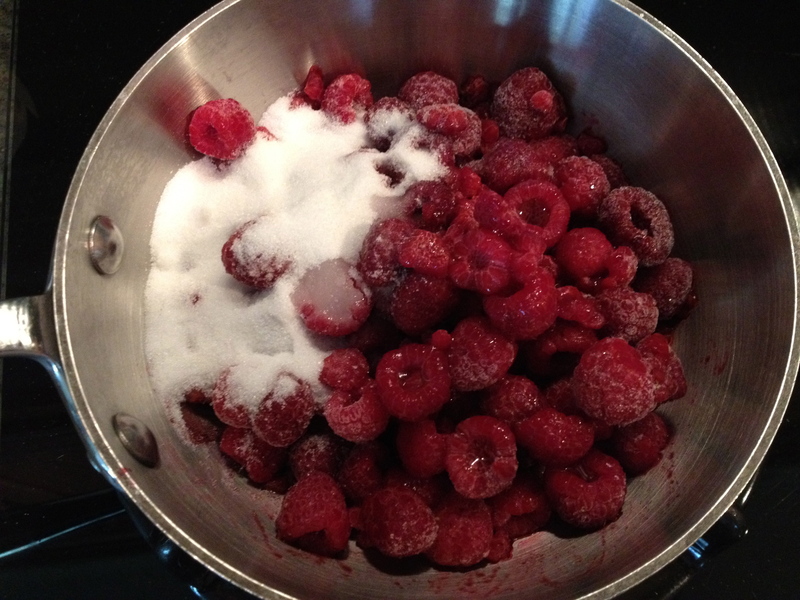 In a pan, combine the raspberries, sugar, and water (3 tablespoons if using fresh raspberries, 2 if using frozen) and cook over medium heat stirring occasionally to disolve sugar. Bring to a simmer, lower the heat, and cook for about 10 minutes. Stir occasionally, mashing berries with the back of your spoon. 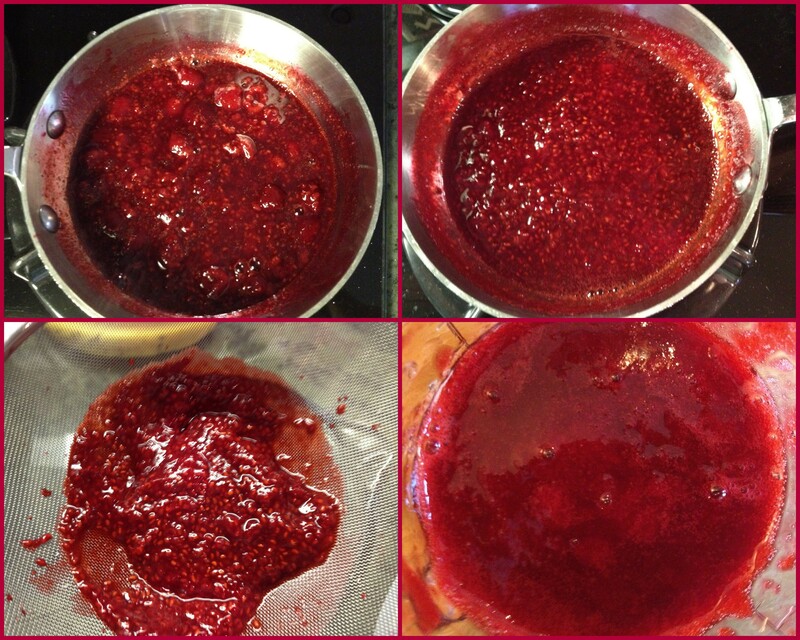 Remove berry mixture from heat, and allow it to cool for a few minutes. Strain mixture through a mesh sieve, pressing down on the solids with the backside of a spoon to extract the syrup. Keep refrigerated until ready to use. This will keep for a couple of weeks in the fridge…but it probably won’t last that long!